LaVar Ball has pulled LiAngelo Ball out of UCLA before he ever played a game. LaVar Ball told ESPN they exploring their options on where LiAngelo Ball will play next. LiAngelo Ball is off the UCLA basketball team, his father LaVar Ball told ESPN, a move first reported by TMZ Sports. Those options will not include transferring to another school. One NBA executive was rather blunt about the NBA prospects for Lonzo Ball’s younger brother. 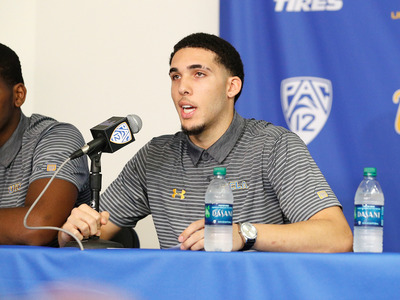 The move came four weeks after LiAngelo Ball and two of his UCLA teammates were arrested in China and charged with shoplifting. The arrests became an even bigger story when President Donald Trump intervened on behalf of the players with Chinese president Xi Jinping and they were allowed to come home shortly thereafter. The three players were subsequently suspended indefinitely by the team after returning to the United States. It was unclear how long the suspensions were to last.